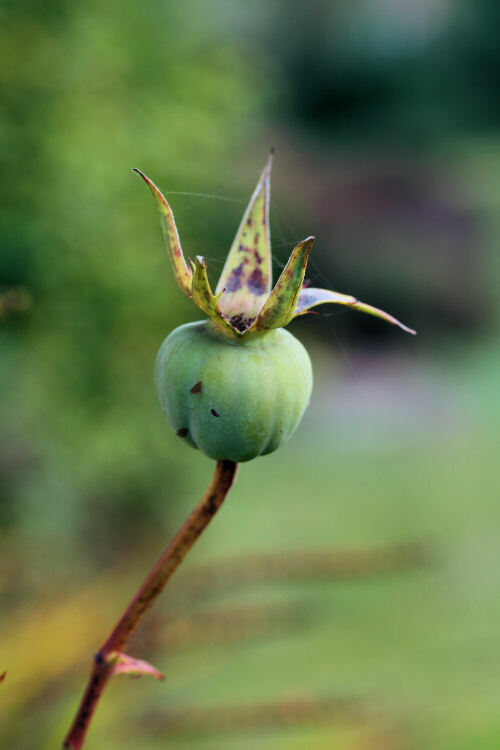 Took a walk around the garden for signs of Autumn. There's a nip in the air, the leaves are changing colour and the apples are falling - we're definitely headed into Autumn in my part of the world. 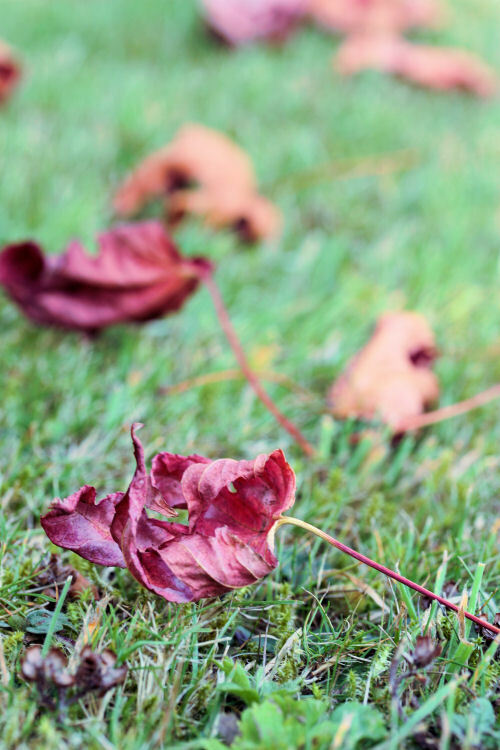 For more signs of Autumn (or Fall), check out the rest of the entries in this week's Sunday Stills. All of our apple trees are done now. I love the scent of crock pot apples when they fill the house. Mmmm! 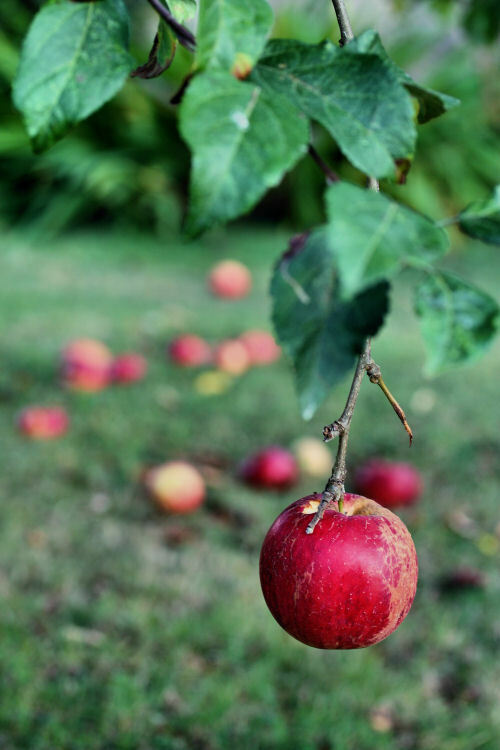 Apples are a perfect scent of autumn. 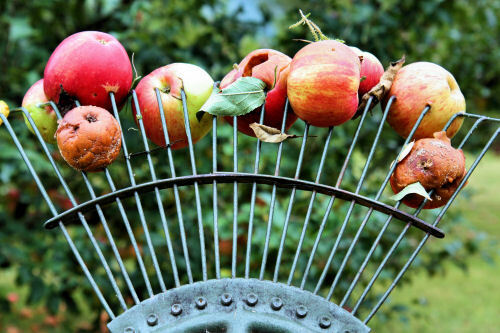 Love the shot of the apples on the rake. dibear - I love apples too, the ones we grow are really sweet. Laughing Orca Ranch - Glad I made you smile, bet your kitchen smells fantastic! Violet Sky - thanks! I find it really easy to stab the apples with the rake and whack them into the compost bin! moresecretwhispers - thank you so much! Your photos are just beautiful. 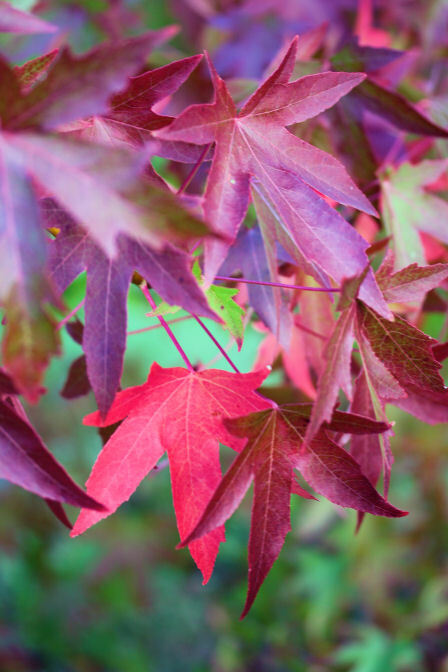 You've captured the beauty of Fall. Thanks for stopping by my blog and commenting. Great idea to make more applesauce and use it in cakes! Thanks! Beautiful photos! I've never experienced autumn since it's summer all year round in where I live :(. I live in the UK and have a passion for cooking and taking photographs.